We offer more than just informative and historical books. We also offer entertaining works of fiction. There is nothing quite like sitting down and curling up with one of the books from our fantasy novels section, each of which will draw you into a world unlike anything you have ever seen before. Or perhaps you have, as we carry a variety of different fantasy books, some of which have been taken and made into something more. Books from the likes of George R. R. Martin and J.R.R. Tolkien have been made into television series and feature films, respectively, and now that the masses have gotten a taste, it seems only logical that they will want to read the books to find out what happens next. Of course, we carry other books as well that have not yet made it onto the silver screen, which will keep you glued to your chair and turning pages until you have finished the whole saga! So if you are an avid reader or a lover of fantasy, then this fantasy novels section is bound to please. Even if you are not always the most dedicated of readers, you will still want to check it out, because you are sure to find a good book here that is definitely worth a read. 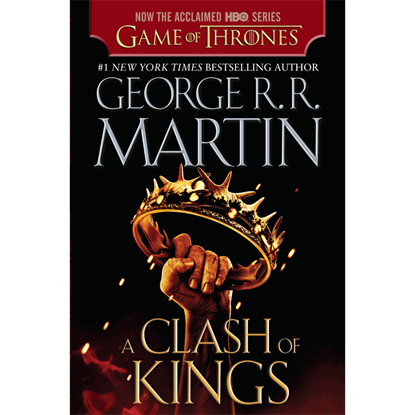 A Clash of Kings (HBO Tie-in Edition), A Song of Ice and Fire is a great choice for the reader who first fell in love with the series when watching it on HBO, and now wants to experience the amazing novel written by George R. R. Martin. Here is the second in George R. R. Martins A Song of Ice and Fire series, which continues a plot filled with intrigue and deception. 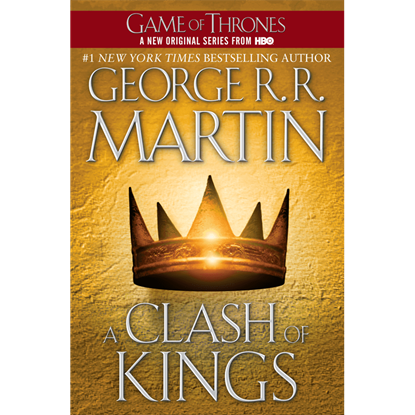 A Clash of Kings, A Song of Ice and Fire Book Two draws the reader deeper into the world of Westeros. 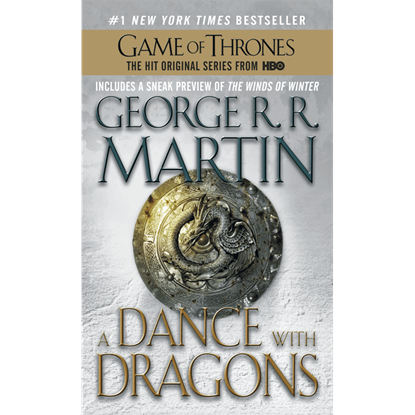 A Dance with Dragons, book five in A Song of Ice and Fire was long-awaited, leaving readers ravenous to discover what happens next in the world of Westeros. George R. R. Martin does not fail to deliver in this chapter of his saga. The war, it seems, is over, but Westeros troubles are far from done. 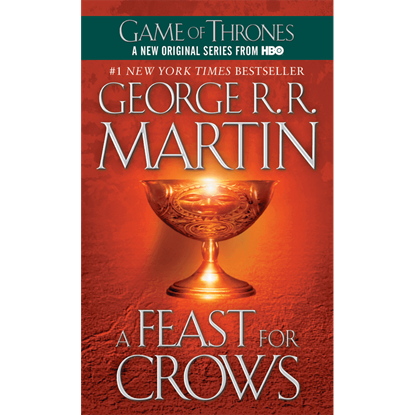 A Feast for Crows, A Song of Ice and Fire is the forth in George R. R. Martins saga, and it continues to build towards the inevitable conclusion of this amazing series. 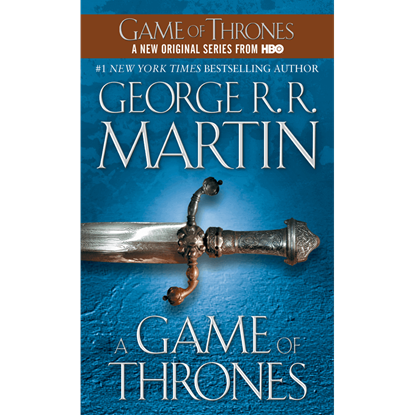 A Game of Thrones (HBO Tie-in Edition), A Song of Ice and Fire is a great choice for the reader who first fell in love with the series when watching it on HBO, and now wants to experience the amazing novel by George R. R. Martin. Here is the first in George R. R. Martins cycle of novels, introducing readers to the vivid world of Westeros. A Game of Thrones, A Song of Ice and Fire Book One is a magnificent read, possessing beautiful details and an intriguing plot. 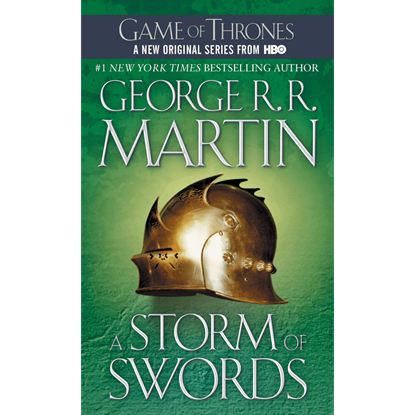 A Storm of Swords is the third book in George R. R. Martins A Son of Ice and Fire series. 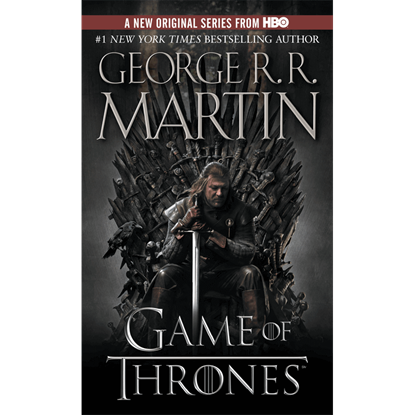 Westeros fate yet remains unsure and only in A Storm of Swords, A Song of Ice and Fire will readers come closer to knowing how it will all turn out. George R. R. Martins A Song of Ice and Fire series has become the standard for modern epic fantasy. 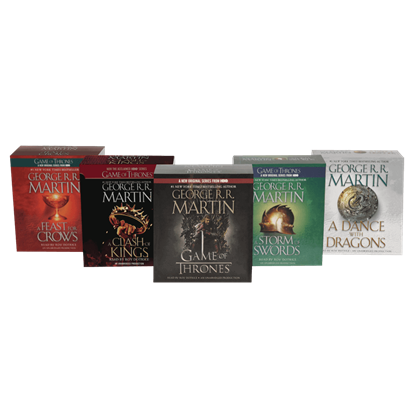 Now, the first five novels can be yours in this Game of Thrones 5-Book Boxed Set (George R. R. Martin Song of Ice and Fire Series). 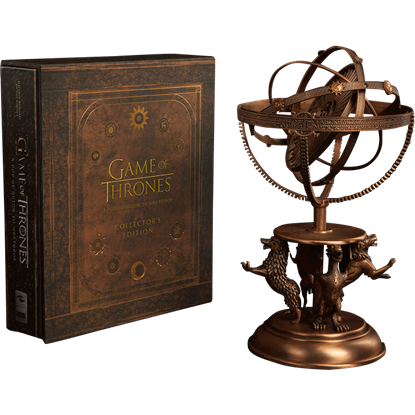 Fans of the popular television show are sure to love this stunning Game of Thrones Astrolabe Collectors Edition Book Set. 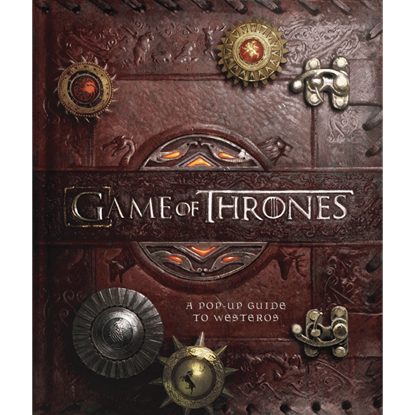 This collectible set includes the Game of Thrones Pop-Up guide to Westeros and a limited astrolabe sculpture. Navigate your way through the realm of man with the Game of Thrones Pop-Up Guide to Westeros. Never before has there been a way to experience the large scale world that the HBO series has only shown you a glimpse of. 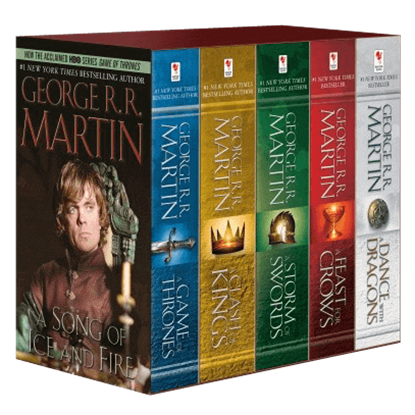 The George R. R. Martin Song of Ice and Fire Audiobook Bundle is a wonderful substitute if you are looking to read the Song of Ice and Fire series, but do not have the time. It contains from A Game Of Thrones to A Dance With Dragons. If you are looking for an insiders look at the Harry Potter film you can stop searching. 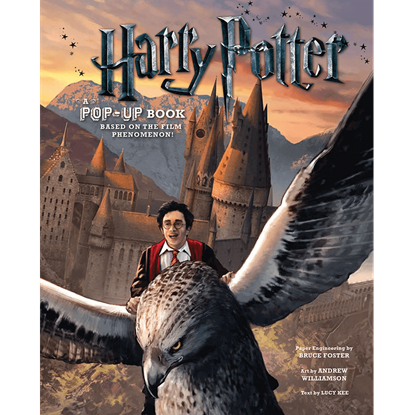 The Harry Potter Pop-Up Book is exactly what you need. This collectible pop-up book contains minibooklets and special insight into the films.